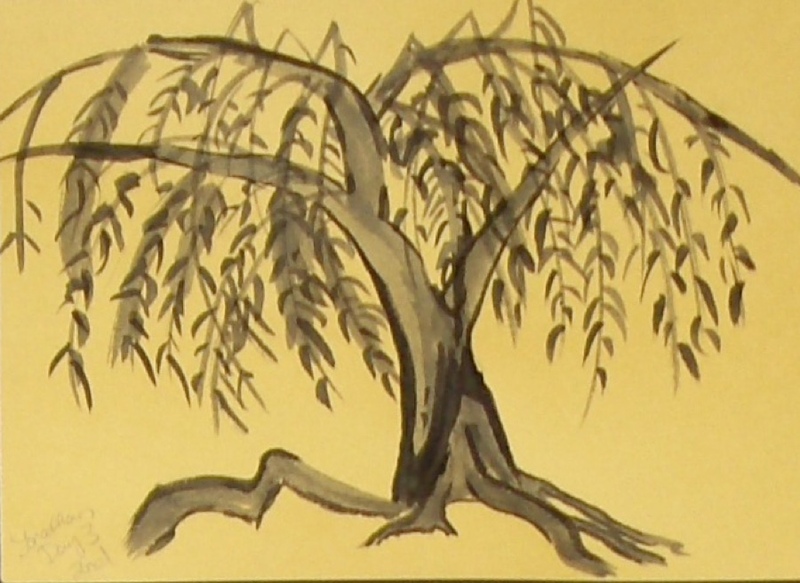 This lesson introduces you into the rich culture of Chinese and Japanese painting. 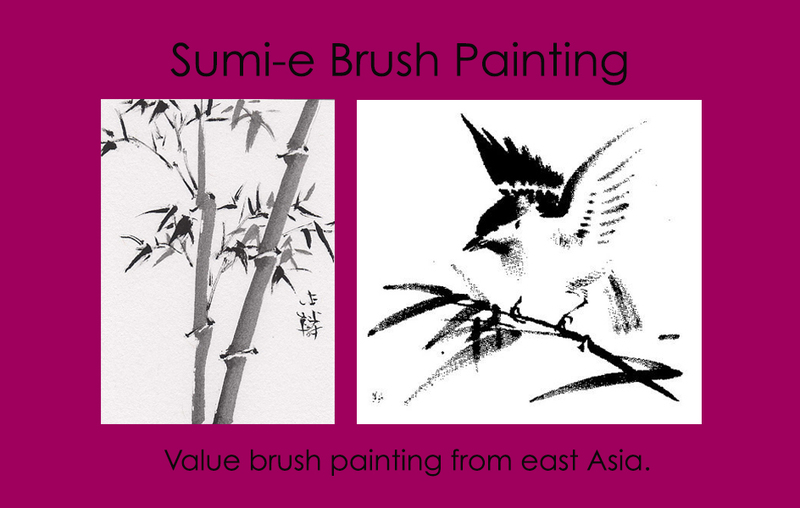 Sumi-e brush painting goes to the heart of East Asian traditions and philosophy. These paintings reflect the wisdom of these cultures. Sumi-e brush painting is a great introduction to painting. Working purely with shades of black gives the painter the opportunity to focus on the constraints and possibilities of working with a single brush. Developing sumi-e brush painting skills usually requires repeated practice and becoming "zen" with the process, meaning you enjoy it. Many students' practice paintings come out rather well. Spend at least four days practicing the quick technique, before attempting your final artwork. 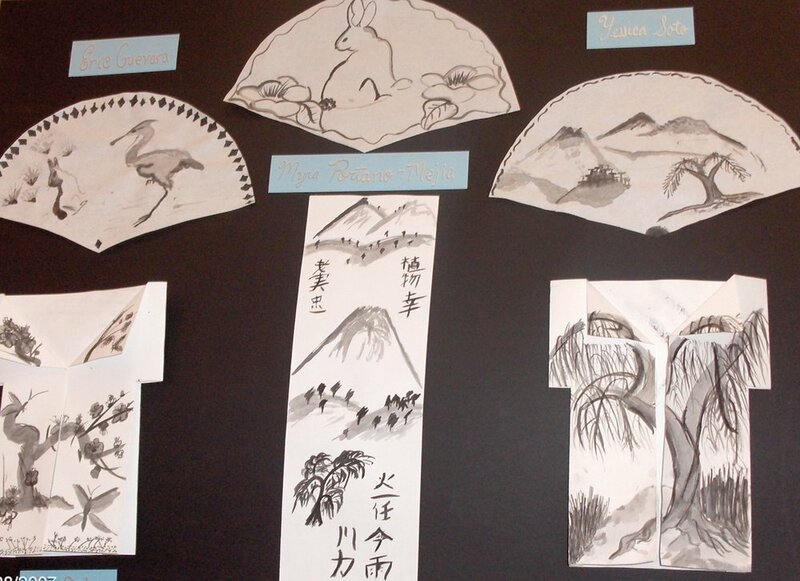 These art projects were done in the likeness of traditional East Asian fans, scrolls, and kimonos. Which representation would you be interested in trying for your final artwork?